The characteristic rounded shape is one of the most beneficial features of Gorenje ovens. Inspired by traditional wood-burning ovens, it enables hot air to move around freely. Food is prepared in a way that preserves vitamins, minerals and other nutrients. Since the food is prepared in a vacuum and at low temperatures, the inside of the meat is always juicy and tender while vegetables stay smooth and firm. MultiFlow 360° guarantees the optimal circulation of heat within the oven. 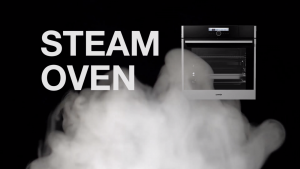 Due to smartly positioned ventilation openings on the back wall and the unique round shape, air is spread evenly throughout the oven.